Quick hit today - Over the weekend I managed to get signed up for the Heresy events at Adepticon 2018 I was hoping for, which was good news! 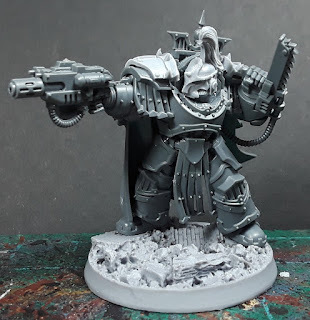 Reading through the mission briefs it appears that I needed to build a Delegatus model in keeping with the force as for the most part I will not be able to use either Abaddon or Maloghurst due to the army creation restrictions. A Delegatus allows for the use of Rites of War at lower point levels, which will be key to be able to keep certain models I'd built for the army in the Troops category, and I thought the leader of the Justaerin would be a good choice to take a crack at. Enter my take on Falkus Kibre - Based on the terminator captain from the Betrayal at Calth box set, with some bespoke SoH shoulder pads, and helmet with the topknot favored by the legion. Added a little extra bling along the top of the armor to get another spike in there, being one of the defining characteristics of the Justaerin warplate. Armed with a combi-melta and a chainfist, he'll fit in well with the rest of the Justaerin in the force so far! I also recently picked up a trio of Anvillus Dreadclaws off of ebay, and they're getting a little TLC at the moment - pics to come! Strong play and your eBay fu is working well. I love that BatC mini, mines Mordaci Blaylock. The helmet looks great with him. Topknots.... Never were my thing. @Rory Priest: Thanks! It was a good find, for sure! @Siph_Horridus: Totally! It's a great basis for conversion! @Dai: Cheers! 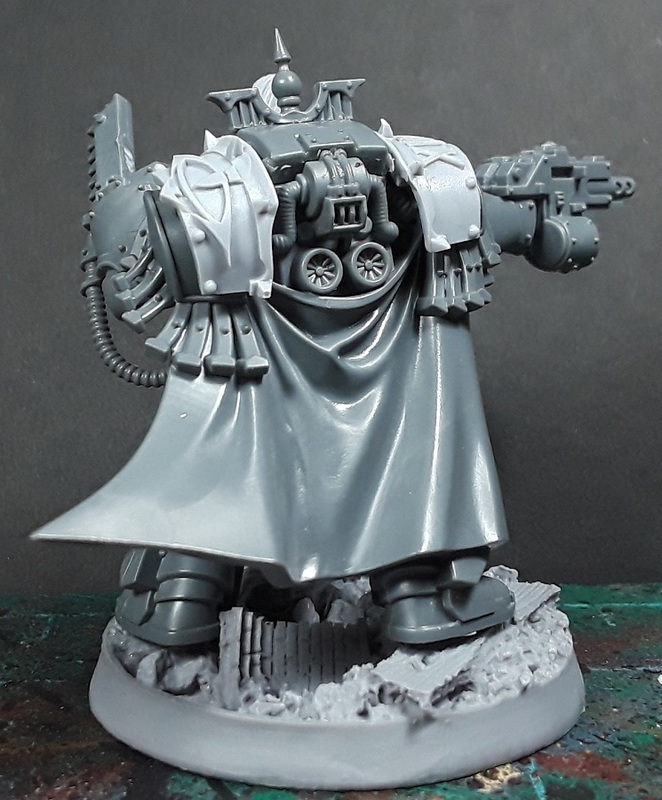 Aye, it's an odd stylistic choice but definitely part of the Sons of Horus aesthetic.